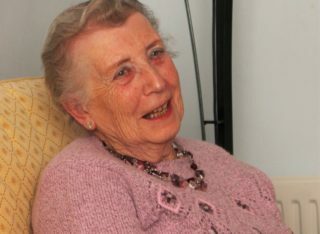 In 1956, Pat was living in a bedsit with her new husband when she heard about the new town and the opportunities it offered. Within a very short time she was starting a new life in Hemel Hempstead with a lovely spacious house that boasted a room large enough for a party! And I said to her, “I’ll have that one on the end there, please!”. And that was because it was an end house. And she said, “Right! It’s yours”.